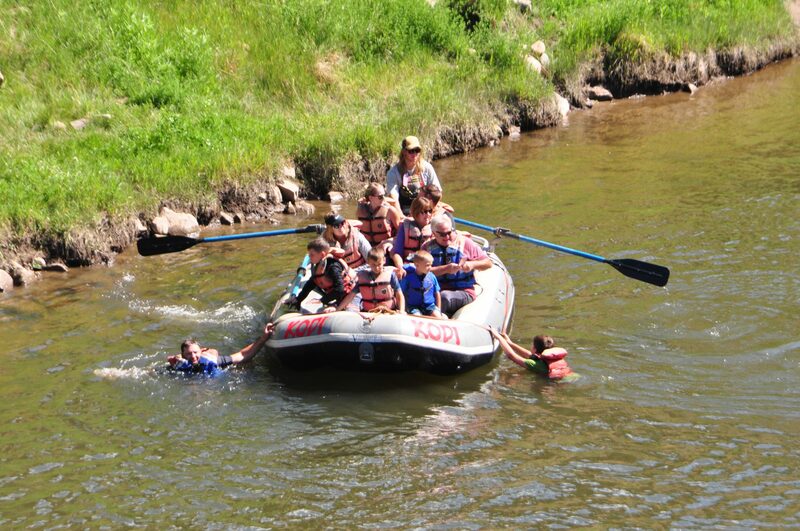 Take in the scenery on our family-friendly Upper Colorado Half Day rafting trip. The Upper Colorado River, or Upper C, is located near the headwaters of the Colorado River on the western side of Rocky Mountain National Park. 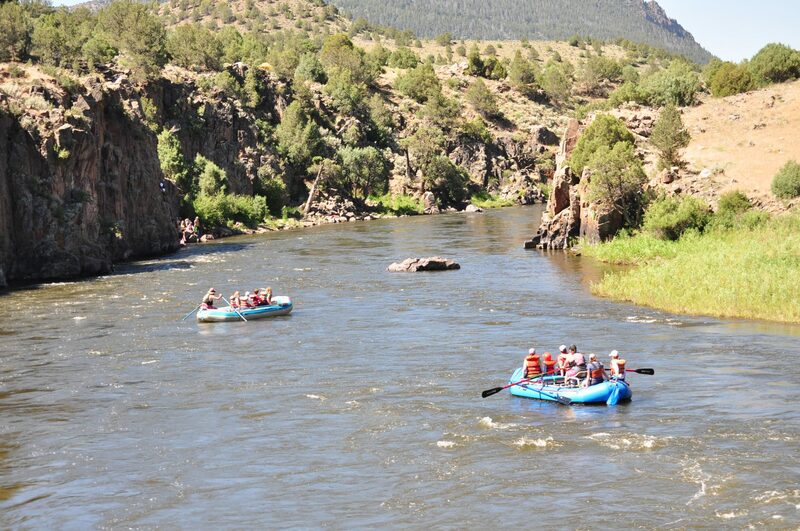 An Upper Colorado Half Day raft trip is perfect for those wanting beautiful canyon scenery and easy-to-navigate whitewater. 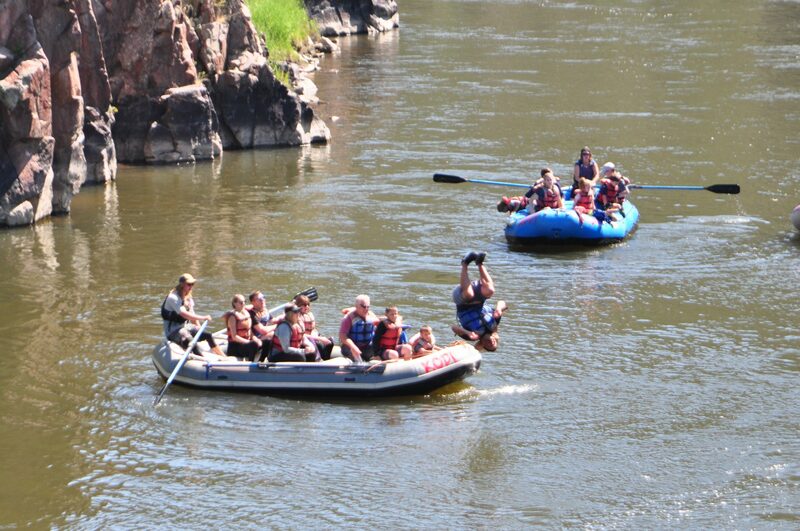 A popular trip for children and families, the Upper C Half Day raft trip offers mild rapids, spectacular wildflowers, sheer granite canyon walls, and forests of blue spruce and Douglas fir trees. Guides also offer information about the area’s history, flora, and fauna. As a bonus, when the river is low, you might take a short excursion to natural hot springs! 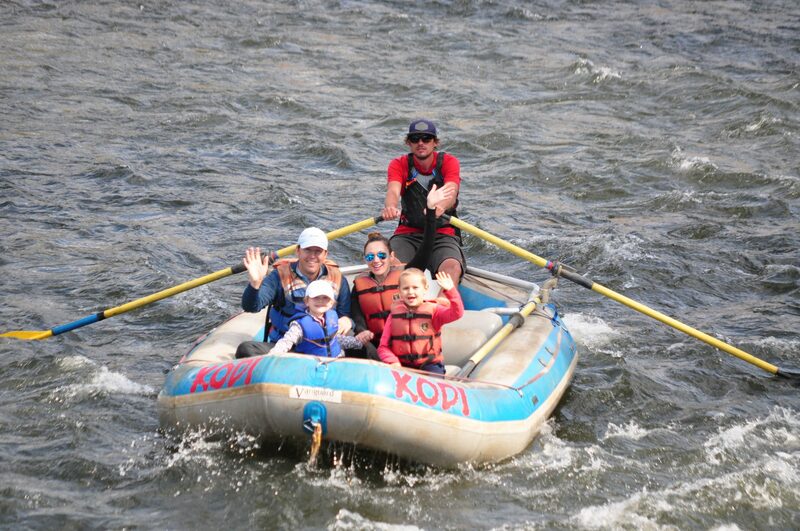 Please bring closed-toe shoes or water sandals (strap around the ankle), rain jackets, hats, and shades when rafting the Upper Colorado River. 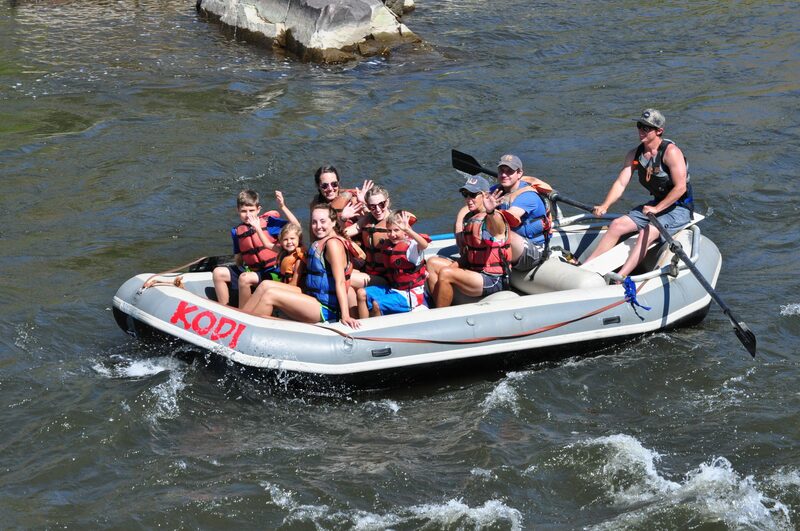 Also, wetsuits, booties, and splash tops are not available for rent on this raft trip because the Upper Colorado tends to be warmer than the rest of our raft trips and there’s little chance you’ll get wet from the rapids. Also, no blue jeans! Cool fact: More than 1,000 years ago, Native Americans irrigated their crops with the waters from the Colorado River. While it’s still used for irrigation today, it’s also used to generate hydroelectric power and to supply water to distant urban areas.